I had interview on April 2 in Addis but my status is still on AP. Is it normal? Have your statu changed, or not yet? i just selected for DV 2019.i would be very great full if u consult me a bit on this pleasssss. All the help you need is on this site. I did the interview on april 2 in ethiopia with my husband and my two kids and the CO said it is approved. But my status shows AP. What is happening? They might – but all you can do is wait – so wait. You are select 01. CSB is your embassy abbreviation. Neither good nor bad. Forget it. Relax. I thought I’d give a brief summary of my interview experience here. Reading other people’s previous experiences was very insightful/helpful during my own DV Journey. –	Why was your birth certificate only issued 5 years ago? – INITIAL ONE WAS MISPLACED. At the end of the interview, I realized that my medical report had not yet reached the embassy (largely my fault as it left too late to take my medicals). The CO then tells says they still require my medical report and evidence of my assets (money) before making a decision on my case. I then asked him if there was a specific amount of money I needed to show to obtain an approval. He responded there was no specific threshold but rather they normally consider this on a case-to-case basis. For instance, they would consider the fact that I have attended schools in the UK and the US and the fact that intend to stay with my niece in a relatively cheaper city until a get a job. After pressing him further on the money issue because I was really getting worried, he said that he only wants to confirm if I had sufficient funds to book a flight to the US and sustain myself for sometime before getting a job. I forwarded my bank statement (with a balance of slightly lower than 4000 pounds actually) by email to the embassy the following day (5th April 2018). Cannot confirm when my medicals were received by the embassy. Got ISSUED status today (10th April 2018). Can’t wait for the printed VISA on my passport. Congratulations for your visa. Where you asked to provide an Affidavit of support at the embassy in London ? I have checked my status today , it has been updated from (AP) to ready again, does it mean They finish (AP) and its ready for print? Is there any update in your ceac status? The same happened to us as well yesterday. Our AP satus has changed into ready. What time was your interview? How much time (AP) takes to change to ready for your case? So your interview was on April the 18th, right? Do you know someone has the same situation? Hi Brit. We had our interview yesterday and all went well. Thanks for all your answers. Right after the interview it changed to administrative processing for all the family for a day and today changed to issued. We were asked basic questions like when you finished high school and for travel information for more than 6 months in other countries. the consular officer was kinda bored, i think it was just another day at the office for him,despite our emotions and a little stress. Thanks for your patience and your effort in this blog, you are doing a very helpful job. Had interview on April 5 and everything went well on the Interview but still on AP. Hoping to see it changed in to Issued. Can i get translater to translate in English and nepali during my interview??? Hello everyone. I am so happy to reach this part of the DV process where I can share my interview experience. I would first and foremost like to thank the Almighty for making me go through this process successfully…it has not been an easy one…it involved lots of mixed feelings like anxiety, curiosity, happiness and sometimes sadness😂. Secondly I would like to thank Brit Simon for this blog which holds a lot of important information…please keep it up. Actually I have been following the posts here closely but I had not yet created an account but I signed up to share my story because it may help someone out there. So without wasting anymore time let me get to my interview experience. I got to the embassy at 5:40am and found people already in the queue. At around 6:15 am we were allowed to enter the embassy gate after a security screening and presentation of my passport and appointment letter. I then moved to the second security screening where I left my phones switched off in my bag and was given a card I would use to pick my stuff later. I then moved to the interview area where I was given a ticket with a number and I then moved out to the garden area to wait for my number to be called. After around 20 minutes I was called to counter 8 where I submitted the required documents (passport, birth certificate, police certificate, UACE certificate) and the lady asked me some questions like If I was married, if had been convicted of a crime before, if I had travelled outside Uganda before, if I had a kid and NO was my answer to all of the questions. She then told me to go back to the waiting garden area and wait for my number to be called again for the actual interview. I waited for about an hour until my number was called and I moved to counter 6 for my interview. This is how it was between me and the American gentleman. CO: Swear that everything we are going to discuss is true. CO: When did you complete high school? CO: Did u go to any other institution after that? CO: Which one is that? CO: Ouhhh…and what did u do there? CO: Do u have anything for me to see from ××××? CO: So your host is in *US state*? CO: What is his name? CO: Who is he to u? Wow! I didn’t Know that to get Visa is fast as that! Hi Jay, i am 2019AF16***, i wanted to find out if you certified your UCE& UACE certificates? If so did you do this from the school or UNEB offices? Can anyone from Uganda please advise. hello brit could we put interview experience on top menu of this website ? please any interview experience from US embassy Ankara?? Hello everyone, first of all I want to say a BIG thank you to God almighty for safeguarding my process and also to britSimons for this great platform. Got to the embassy at 6am, waited in my car till 7am then left to join the queue for appointment inspections and security checks. When I got into the embassy, a greeter collected my appointment letter and asked to sit, I was the fourth person among DV applicant that morning. We were all (10 applicants) called to window one and got a briefing from a lady about the whole process and given a paper with payment instructions. I was first to pay because I had exactly 330 dollars. The cashier instructed me to announce to everyone (DV) to come next if they have 330 dollars or have the exact cedi equivalent before he attends to those that will need change. I advise that you take dollars to prevent further delays. After 20mins I was called to Window 4 to present certificates and passport and then finger prints were taken. I was asked where I leave and my telephone number then asked to sit and wait patiently for the interview to take place. The first person was called to window 8 asked to swear and a few questions were asked then all I heard was “I’m sorry, you do not qualify.” the guy argued about topographical error but no excuse was taken. The CO looked mean because he had a serious face on. There, I started praying to God that he shouldn’t let this man interview me. Everyone got tensed up because of what we had just seen, two people were called to different window. I heard another girl answering questions of her own. Let’s say “where do live” she answered that with where she was born then later she realized she got the question wrong so she tried to correct them. After some few seconds I saw her pass with her passport meaning she was refused. Shortly, I was called to window 9, I step up with a small smile “with conscience of be natural as possible “the CO also had a pleasant look on his face. I’m very tall and when I got on the wooden plank, it worsen the case LOL. The CO had to raise his heard to look at me so he got up and that created a comic moment and we all laughed so I got less tensed. CO: Morning, How are you? Me: I’m fine thank you, How are you? CO: how many times have you been in the lottery? CO: wow congrats on winning on your second time. Me: University of Ghana, Legon. CO: Great! So do you have a family in the US? CO: I guess that’s where you’ll be staying. Everything looks good here, Congratulation I’m approving your visa. I’ll keep your passport and the returns my original documents. “Picks white sheet and circles a portion” Go to this website and create a profile with your phone number and email address. We will send you details as to how to pick up your passport at DHL Blah Blah Blah. He looks at me with smiles on his face and then I asked if that’s all. He said yes that’s it simple as that. I thank him and then leave. I had a huge smile on but I couldn’t keep that on for long because I wanted to prank my girlfriend who was outside waiting. The interview took less than 45 seconds. The website was updated to issue the next day, got a text to pick up packets the following and then picked up as follows. Patience is all you need and prepare very well by reading materials on Britsimon’s website. When you get to the embassy relax and listen with caution before you answer and please be plain and brief as possible, I think the CO’s like that a lot. My family, girlfriend and I fasted and prayed for a week before attending the interview and God came through. I’m grateful to God and thanks a lot Britsimons. Brit Simon,what if you’re feeling your form and your former school is no longer at the address you originally completed . What do you advice? Should I use the address where the school has relocated to most respectfully? I’d please like to ascertain if you’ve received notification to come pick up your passport and immigrant packet? It could be a change to issued or refused is coming next. There is no way to know which one. please any interview experience from US embassy Ankara?? Brit plz answered me??? I did, I said “read”. So hopefully you have noticed there is a lot of the same experience regardless of the embassy location. That in itself should prepare you. I think you just need to be patient! I made tons of documents but it surprised me how little documents are needed..
4.medical reports from IOM Kathmandu. 5.wellcome letter from a friend or relative..( no financial documents needed). If your spouse also attending interview…then.birth certificate…marriage certificate… police report and medical reports of your spouse is required. You have to provide a photo copy of all the documents submitted…and two 2×2 inch photos of each person….. The above information is for NEPAl ( KATHMANDU embassy)only…. all embassy have different requirements…so call the embassy for any information or do some research and use your judgement…Best of luck for all…and thanks again to Mr.Brit…. Hello Brit, I had an interview on 16th April, 14:00 pm in Tbilisi. It was really easy and friendly conversation with the consular officer. I was the only DV applicant on this day and there were 8 local applicants for the touristic visa. Consular officer finished interviews with them and forgot about me. I was almost falling asleep ( 30 minutes I slept even). And later somebody called me and asked me who are you? I said I am waiting for the interview with the consular service. And the girl from the window replied me. Sorry he left, we didn’t know that you are here. We will call him and please wait. Well, I waited almost an hour more. The main consular officer came and we started. Firstly, he apologized, and then the conversation started very friendly with jokes. One important thing, I did not have an official ceremony, like I swear everything is true. He forgot this process. In the end, he said please come tomorrow to take your visa. And next day I come at 14:00 pm. There were other applicants for DV visa. And the consular officer invited me and he said I have bad news for you. You will be here again lonely. Good joke!! After interviews with candidates, I was called out to take visa. I didn’t believe that, it is so easy to get a visa! I’m glad it was that easy! For some that may relate I married my wife after she won the lottery, we are from different countries (She is Romanian, I am Greek) but we have been together since the university years. One thing that I can advice all people being in the same position like me is not to hesitate to contact the US embassy of your country, or the embassy where the interview will take place. They have been really helpful and the two embassies communicated multiple times in order to provide me with the best of help regarding my documents. The interview went really well, there was a lovely CO, polite and with an amazingly sweet tone asking questions making it look more like an interest than judging or whatever. She was asking no different questions from what you already read, most of them were about how we met and what we did with my wife, but it was really easy to prove our relationship since we had photos of our graduation, living together for years etc. After almost a year since we found out the results, it was totally worth the wait , although many times it was an emotional roller coaster. But for these times, this amazing job, your stories, your questions and last but not least Brit’s commitment and love for the blog was the best company, a boost of courage and confidence. Cannot thank you enough Brit. Good luck to the rest of the people with their interviews. I had my visa interview on 17th of April 2018. There my all the documents were correct. As my sponsor aunt is a pensioner . her documents get rejected i was asked to forward a new sponsor . because of that now we were on A/P status. So that now i ‘am ready to forward my new sponsor documents to the Embassy. I wanted to know the Further steps regarding my new sponsor details. Have we to introduce those details to DS 260 or the embassy is doing that? if not what is the steps to be followed. You don’t touch the DS260 – just provide the documents to the embassy. It was a wonderful experience whilst reading from this blog and preparing for my interview. Had it on 5th February, ’18. @Accra. Nb: made use of other names used on D260 form plus name provided during entry was “XYX”. I answered his questions as honestly as I could and at the end he approved my visa. Favour was on my side. Let me share our experience from whole DV process. At the first place I need to say I was lost in whole DV process until I found this website. It basically helped me to get know the whole process and look for answers of all questions I had. And most important, not to panic, remain calm and be patient. As you can see from timeline above, we have very short time to gather and prepare all documents for an interview. I tried to postpone it, however as BTS Embassy had long holidays in January, only possible date was 4.1. There were Christmas holidays and many people had vacation or shorter opening hours – doctors, offices, etc. We managed everything and went to an interview. We (me and my wife) come to US Embassy 15min earlier, proceed the security checks and went to waiting room. Took number a wait for 5min. Got called to window, provide all documents needed, pay the fee and went back to waiting room. In next 5min we were called to another window for actual interview with US consul. He was very nice and we chat for a while. Than swear and were asked few questions. Do you have any relatives there? What you would like to do for living in US? Just simple and expected questions. We were told that everything is ok. Left our phone number there and next day we got call that we may collect our visas. No sponsors or financial statement were needed. We were little bit surprised after officer told us to pay another 220 USD each before departure to US to USCIS as we were not prepared for it. However everything is issued and paid now, so we are looking forward to our new adventure. I will say that preparation is KEY for successful interview. Interview itself is just a formality. Prepare all documents, have them translated, etc. So when you have your interview scheduled, immediately start working on things and follow instruction for your country. As requirement differs. Only problem, My Sponsor IRS Document. 3 Time I Send Different IRS Document to Embassy. But Every Time Embassy Says This Is Not Value Document………..
( Pls. have your sponsor send you the IRS transcripts for 2016/2017. The tax information sent is not acceptable)……………..
Pls Send Me Value IRS Transcripts Document , PDF Or Link……….. Your sponsor should know what an IRS transcript is! First, Thank you very much dear Brit for your valuable time. If it wasn’t you many of us will fail during the process. So, Here is my interview experience……. After two security checks we were allowed to enter the interview location @ the embassy. After about 15 mins waiting period my no was called to a counter and a local lady was collected my required documents. Before that she asked me to pay the interview fee. Then she asked few questions such as my date of marriage, my sponsor’s citizen status. Then she took finger prints both from me and my wife and asked to wait at the lobby. After a while we were called to a separate counter to the interview. CO took oath first and asked few question. And took our fingerprints again. After that the CO said “congratulations, I issue you the visa. Come back to embassy on 19th April @ 11 am to collect the visa” and he gave me the yellow paper. Whole process took about 2 hours from the entry to the embassy. My status on the CEAC was updated form ready to AP on 11th April morning and few hours later it was updated to issued. Then we collected our visa on 19th. Again, dear Brit I don’t have words to thank you. Please keep it up. Hi Nipuna, congrats. I am a winner in DV2019 from Sri Lanka and I need to know where to translate birth, marriage certificates etc in Sri Lanka. Thanks in advance. Hi Nipuna.. congrats mate. I am selected from Sri Lanka for DV2019 and I want several things to know from you. 1. From where did you get your birth, marriage certificates etc translated into English? 2. I have filled my DV application with full names of my wife and kids but did not include ‘wasagama’ since we don’t normally do it. Now from DS260 onwards I have to use the entire full names as passports do have same. Is it a problem and how can I correct it? 3. Do we (Sri Lankans) have to carry I-134 from a resident in US? Do we have to prove his tax returns and/or income? 4. How long did it take to take police clearance and the how late can we plan for medical examinations once interview dates are known? 5. My case number in 66XX and the possibility for me to get through and approximate interview dates if you can guess..
Is it possible to contact you? Thank you for your time and all the best. Here is my Interview experience! Just arrived early in the morning at the Embassy and a lot of people were there. We just followed the guide from the Embassy security staff to enter in to the Embassy! The following Documents are important for DV winners from Ethiopia. If ur document is the old Vocational school (10+3) u need to authenticate it in the school u attended. Actually in the old vocational school both the vocational and academic education was given together and those in the old 10+3 curriculum also were allowed to take ESLCE exam). So take the diploma with your ESLCE result and Transcrips and it is ok! The NEW vocational school diploma doesn’t meet the educational requirement that is required to be illegible for the DV visa. If u have work experience u have to bring it to the Interview! It is very Important. If all the documents are genuine and real the interview is just a formality. I was asked about my host , my work experience and other personal details and it only took 1 minutes. At the end of the interview, the beautiful CO told me that my visa is approved. After 4 days of my Interview my status changed to AP on CEAC. I learned that the American Embassy in Addis Ababa has a lot of customers and Busy. So the Visa processing time takes some 14 business days and today my status is changed in to ISSUED. Thank you Simon for all your support. Hope I will keep in touch! Once again Thanks a lot SIMON!!!!!!!!!!!!!! Hi Simon, I would like to ask. Your host in the USA, does it matter if the person is legally residing in the US or not? What happens if the person isn’t legal, will this cause denial? It would be unwise and could represent a risk to the host also. Uh oh. Is it too late for me to unlock my form and change it? Case No. AF349**. You will have to discuss with the embassy. What you should have done is changed your marital status and created a DS260 for your husband and your child. However, it sounds like you did not do that – so contact the embassy asap and ask if you can add your husband at this stage. Most people I heard paid the cost sharing. Bachelor degree is not among the rudimentary requirements to qualify for visa; so make sure you have Grade 10 and Grade 12 leaving certificates and high school transcripts authenticated and ready. Certainly, you have first degree thus, just authenticate the temporary degree and espouse it with a student copy or grade reports. On the contrary, since you are immigrating to the USA to live and work, like all of us here, It is better to have original documents; It will make job applications or university admissions smoother. Thus, if you have enough money for cost sharing and the printing is complete (takes 3 years after graduation), I encourage you to get the original one however for interview it is of little moment. You can read my interview experience(life experience … as it is too long) posted on March 14,2018. Hey Would you clear me about authentication, Is it mandatory authenticating high school transcript? I authenticated all(bsc, Grade 10 & 12 and others ) but I did not the high school transcript and I don’t have time to do so now because my interview after a day. But authenticating high school transcripts only in the high school u attended and the university transcripts on the university registrar was quite a plus. Since u don’t have time to do the authentication in the school and the university what you can do now is just take the original transcripts along with all the other documents you have. It will not be a problem. If they need anything more they will tell you during the Interview. I had the same case with u! I did the high school transcript authentication only on the school and it was ok. I acknowledge what Solomon said. On April 23 my visa was approved. I want to thank you for your work, for your patience. what you are doing really helps us. I’m single, never married, self-employed and have no children. I did not complete undergrad either. I’m qualified with high school diploma. I-134 is required. I wrote down that I’m being sponsered myself. I mean, the sponsor is me and the beneficiary is me as well. That sounds weird but it was fine. I also attached bank gautantee and tax receipt with I-134 form. What kind of surprise me is the consular officer didn’t ask me for a commercial registration. I was asked for a question, ” Where are you going to stay?” So I answered ” I have planed to New York. I have a friend studying there.” Then he said my visa has approved and i will receive my visa package within a week. I would like to share my story with you all because I owe it to you! It all started on October 11, 2016 the day I played with my cousin but boff the results came out and it did not work for my cousin. So I researched the whole process of DV and I discovered this great forum that taught me a lot and I take the opportunity to thank all the directors of this forum especially the big BRITSIMONS. In short I submitted my DS on September 12, 2017 and never reopened. Now it’s time for me to get to the point! The day before the interview I was hyperstress (lol) and suddenly I woke up at 3 am and I’m not sleepy anymore! I washed, ablutions and then I started by praying and I read some suras to calm the heart a little! 7:30 Take the road to Cotonou (I left Porto) arrival at 9h minus! The interview was scheduled for 10:50! I arrived at the embassy and there were already people! We were brought in per hour of interview! Thus passed the stage of security and others then destination interview room in which the passage is in turn! There were 4 wickets. A gar gives us a card on which there is the order in which the documents must be! (A Black Beninese Woman also apparently and very nice) Verification of the doc and catch of purple. (An American White and relax) INTERVIEW in less than a minute and very banal! CO: Raise your right hand and swear that everything you put in the ds and that all you will say is the truth and nothing but the truth! CO: How old are you? CO: Are you going to the Washington State? CO: CONGRATULATIONS! Your visa is approved! We will call you in 1 or 2 weeks to come get your passport! He gives me all my originals and keeps the copies legalized then gives me a signed coupon that will serve me to withdraw my passport! I was overjoyed and came out of the embassy smiling and thanking Allah for his grace in my life! My status has passed ISSUED today 03 May! Once again I thank my dear Admin BRITSIMON and all the others for the work you do! I want to share with you my interview, because the stories I read here were very helpful. We (my wife and I) got the results of the lottery at the begining of May 2017, we filled the DS 260 at the end of May for the first time. after that I had to go for my job in France, I got my residency in France and my wife stayed in our home country (Morocco) because of her job. Since June , I started to read everyday on your website, It was very helpful and made me prepare very well every step. I knew the Interview appointment date on february and it was for april, and we started to collect the documents needed. 2- my wife work with the gouvernment and in the training that she had to start her job , she had to do like a basic paramilitary training for 1 month. She was not military but we were afraid that they will consider that we are trying to hide this information. so we mentioned in the DS 260 ‘YES’ for the question, “did you serve in military?”. we had to bring military certificate but since she is not military , we brought only a certificate that she passed this training . We had the appointment at 8 am , but 2 days before the interview day , I got a call from the consulate telling me that it changed to 1 pm. I asked for an email because I was afraid about this. they sent us the email notifying the change. (to be honest, I was still afraid that could be a mistake or something, even if the phone number and the email were the consulate ones , but anyway … stress .. you know ). The day of the interview , we woke up at 8 am and went to the consulate. we were there in about 9h30 , we asked the security respnsible at the gate , and he confirmed that for our case we should come back at 1pm (big relief for me !! ). We went to a coffee shop and came back at 12h30. After some minutes waiting in the line, we got the first security check , then the 2nd one. It was very quick … once inside the consulate, we were called in order to give our passports and our high school degrees ,some other questions like : what is the date of your marriage? where are you from (city)? he asked the same question to my wife ..
After that he asked us to go pay the fees of the visa. once done , we were called to another ‘guichet’. This time, she was a nice smilling moroccan woman, she asked me first for all the documents (originals , translated and copies of originals). I gave her one by one , she was checking at the same time and taking note in her computer. after that she asked for the documents of my wife , she handled them to her , but this time she didn’t ask for the military certifact we were worrying about , so we told her that we have it , she said that it’s ok , no need for it. we asked her if she need to give her master degree like I did , she said no need also. so I started making jokes on my wifes , because she was very proud of her degrees , and I said to the woman, you are breaking her heart , she wanted to handle you her Phd degree but you don’t want it . The woman started to laugh and explained that it’s going to be helpful only in case it’s the principal applicant (who is me). Few minutes later , we were called to the main interview. CO: did you travel outside morocco? me : I said yes , and explained where and why ..
CO: Is the person receiving you in US is your brother ? me : I said that he is my cousin , this is why we have the same name. CO: what are you working in france ? he took some time to check and type on his computer and then he said : congrats , visa approved. We were very happy , he handled a paper explaining how to get our passports. after exactly 8 working days we received the email in order to go take back our passports from the delivery company. I have only one remark about the interview, a lot of people who were there with us in the consulate got the status AP. and I guess it’s related to the person receiving you in the US. I can only recommand the people who will pass the interview , to choose very carefully the person who is receiving you. it should be someone who has clean history in US, with good job and also maybe living in the same place for long time (very well known to the autorities) , because of all the terrorism stuffs they prefer to check very very well the backgrounds of the people receiving and applying (especially from arab countries) .. so its very recommanded to choose carefully the host .. (if choice is possible). My advice also is to over prepare for the interview in term of documents needed, for exemple , I saw some people who were put in AP status because they worked some months outside the country and didn’t have the police certificate because officialy it was requested only if you were more than 1year outside the country. Thank you and good luck for everybody with this process. Hello Brit, thanks very much for all your efforts. Can one appeal after he or she has been refused visa ? I want just to know why some people have done their interview in April and they got their visas while I have passed my interview in March and my case still ready after (ap), what do you think? I don’t know. You have asked me a number of times, but I can’t shed any light on it for you. Be patient, or contact the embassy. Because everyone’s situation is different. Do you know some one has the same situation ? Dear SIRS is someone with extended family (wife and 2 or more kids) could share your interview experience with us .please share your interview experience as it will help us a lot. I am from Ethiopia I will have my interview on June. 1-All necessary documents should be fullfiled. 3-Medical post sealed for each member you took from the hospital you took. 4-All birth certificate and your marrage certificate which is authonticated. 5- Photos from your previous life / May be your marrage time or any time photos but from different times. 6- The questions are not as such complicated. But I advised you to pray for each step. NB Britsmon ideas and comments are very helfull. By the way am went to US with my wife and 3 children on May 2017. I had a successful visa interview in Ghana, Accra on May 8 with my 5 dependents. I just checked my visa status and it indicates READY for 5 of us but the last 1 indicates AP which we were made aware in the interview that it will have to go through some investigations. Thank you so much for the advice, you’ve really toughened me and may God richly bless you in abundance. My interview experience will come soon. Hope it all gets approved soon. I am more than happy to share with you the latest details of my DV journey. I asked a lot of questions here since last May and you answered to all of them with all your patience, thanks so much for this. You really helped me go through evey step of the way, and I cannot know how would have I delt with such a complicated system without your help and pieces of advice. I was first asked my DS260 confirmation page + birth certificate + police records + passport + confirmation that I did register on the usvisa.com website to get my visa back (three people before me in the line did forget to registrer on this website… I don’t know what is the process for them, but keep in mind to do it if you are French! This is basically the website that will take care of sending your passport back to your home so pretty important right?). Then, I had to pay the 330-dollar fee (I paid in US dollars but you are allowed to pay in both euros / dollars, by cash / credit card). Then, I had the first encounter with a very nice woman, checking all my documents and checking my fingertips. Just FYI, not a single translation was asked, even if you can read on some websites that you will for example need your birth certificate in English. After 15 min checking everything, she told me that my application was complete, and that I now have to wait for a CO to call my name. I am called 15 minutes later by a very friendly man. Had to take an oath. – Where do you intend to live in the US? – What kind of job do you want to do there? – Have you ever lived outside of France? – What kind of visa did you get when you lived in Florida? He ended up saying ‘your application is pretty straight forward, I will approve your visa and you will receive it in approx. 10 days’. Everything went so smoothly I was so happy! I received my visa yesterday, May 9 in my mail box. I will go to NY in August to validate my visa, and intend to move permanently next summer. Once again thank you so much Simon, and good luck to everybody! Le rêve 🙂 Enjoy ! Our interview at the US Embassy in Yaounde, Cameroon. My wife’s entry was selected as I checked the results on May 3rd 2017. She submitted her edv entry as single since we were not legally married at the time. Reading from britsimonsays.com, I understood the dv lottery process and we got married on June 03 2017 and submitted our ds260 on June 05th 2017. We received our 2nd notification letter in September for a November 28t interview. On interview day, we went we all necessary documents and proofs of our relationship which were; financial transaction receipts, photos dating from when we were still dating, printed whatsapp and Facebook messages. When we arrived at the embassy, security checks were made and we were allowed into the embassy. We were told how to arrange our documents after which we were assigned numbers which we used to pay our interview fees. *the cashier did most of the interview and the consular officer only asked us a few simple questions. He laughed and told us that our marriage is just for the purpose of green card . We told him no and he insisted about three times but our answer were no. 2)do u have proofs to proof that your marriage is genuine? We answered yes. 3) where are they? We gave him the proofs and he looked through them. He asked us questions a about our photos and and money transfer receipts that we presented and we answered. From the look on his face, I saw realized that he was convinced. He then asked us to pay our interview fee which we did and were told to go and sit down. After hours of sitting, we were called at counter 02 for our tomb prints. The guy at counter also asked us if we intended to change our US address and we said no. He asked us to sit down and wait for the final interview. Less than FIVE minutes later we were called to counter 5. 1) where did u meet your husband? When did u decide to get married? 5) why did she not refuse before before accepting later? Before I finished answering the fifth question, he said congratulations, your visa has been approved. He then gave us a yellow paper which said which should come back on November 30th and collects our passports with visas and immigration package which we did. THANKS BRIT FOR YOUR SUPPORT. TO COULPES WHO ARE ENGAGED PLEASE DO NOT LEAVE YOUR PARTNERS BEHIND FOR TWO HEADS ARE BETTER THAN ONE HERE IN THE US. 8th May, 2018 – Interview day. It was at 8:30 AM. 4. Passport, but its photocopies were returned to us. 6. 2 passport size pictures (2 X 2) inches. 9. The principal applicant’s City&Guilds of London certificates from Diploma to Advanced certificates and photocopies. NB: We also made sure we carried other documents: all my employment documents both current and previous (including my wife’s own), Bank statements (including my wife’s), joint investment statements with my wife, property documents, my wife’s academic certificates including her degree with photocopies, my Technical school testimonial, diploma and other documents from the schools I attended and affidavit of support from our host with all supporting documents. Interview was at 8:30 am, we got there as early as 7:23am. We immediately joined a queue outside the gate where a gentleman checked our 2NL and then crosscheck with the list of expected interviewees for the day, after that we went through security scrutiny and later lead us into the main interview hall. K.N: No phone or any electronic gadget and bags are allowed inn. If you have a car, the keys will be taken from you and tagged giving you a copy of the tag number for latter collection. In the interview hall, a lady and a gentleman just at the door took the 2NL. The lady talked us about the process, opened for questions and address all our concerns. She gave out a sheet of paper with list of all visa fees, the fee for DV was $330 per person or it’s equivalent in Ghana cedis and those who will not require a change and has the exact amount can proceed to the cashier for payment said by the lady. I quickly joined the queue since I was having the exact amount in US dollars times the six (6) of us. A receipt was issued after the payment and went back to our sit waiting to be called. I was then called to Window 4 for documents collection and finger print scanning (only mine was taken at this point) which I went with my family. Something funny happened here, due to simultaneous request for different certificates and I was having lots of unrequired documents, for some strange reasons, everything got mixed up, I couldn’t even find my original birth cert so the lady asked us to go back and have everything properly arranged, mentioning the ones she require. After about an hour we finally arranged all the documents putting each one in its respectful passports with the 2 passport pics, I also found my birth cert in my documents but the lady at window 4 was not at her desk so we had to wait till a gentleman in window 5 called me and asked what the problem was, after narrating our issue, he asked for my name and promised to get my folder and attend to us in the next minute. After a min, the gentleman in window 5 called my name and we all went and stood before him. He then mentioned my name and requested for the required documents and I handed the passport with all documents and photocopies to him and it continued in that order. He took my wife’s and the 16 year old son’s finger prints. He requested for the weighing cards of the kids but unfortunately we did not carry them along.He asked where I live, my phone number and mentioned the name of my company which I confirmed. He assured us of fast tracking our process since we have spent lots of time in the hall and considering the state of the kids too. So we went back to our sit. Amazingly he took only the required listed documents above and ignored the rest. In less than 5mins we were called to window 6 which was the actual interview, a white gentleman and he was the Consular Officer (CO) and the following ensued:. Co: I need you all to raise your right hand and swear to tell the truth that all you will say will be correct. Co: What was your highest qualification? Co: So you are based in Accra? Co: Did you apply yourself or did someone helped you? Co: Did you do it at the internet cafe or at home? Co: How long have you been applying for the lottery? Co: is this your first win? Co: were you married before, I mean have you married any other woman before your wife? Co: where do you work? Co: what do you do there? Co: I have seen your previous marriage and divorce documents, you were married to xxxx on the xxxx date and divorced on xxxx date? Co: you have been to the United States before, what was the purpose and where did you visit? Co: Who did you visit? Co: what is the relationship between you and your adopted son? Co: How long has he been living with you? Co: what work will you prefer when you get to the states? Co: Took my wife’s finger print 3 times and the adopted son once. The kids can go and sit down, I will like to talk to the parents alone. Co: I am going to approve your visas but the adopted son’s own will be done later after an investigation, so it is going to be on Administrative Process Would you like me to approve the ones I have certified or wait after the investigation then I approve all? My wife: when will the visas be issued? Co: I wish I can give you exact date but I can’t at the moment. Us: Thank you Sir and left. In all it was a bit easier once prepared psychologically and we owe this success to Uncle BritSimon for a wonderful tutorship. May God richly bless you and your family. Thank you all members of the house, though I was silent, I fed on the answers to the questions asked by most of you and also thank those whose interview testimonies I have fed on to toughened myself to this stage. My piece of advice to those yet to take their turn in the visa interview is that, all the information necessary for you to pass your interview is on this blog so please read and ask questions if you don’t understand something. My donation will come very soon. Wow great account of the process and prep. Thank you. A model for others to follow. My only suggested improvement would be to have the basic required documents apart from the additional supporting document – just so you feel less nervous when asked for the obvious docs. Interesting that he tried to trip you up with divorce dates etc. Accra huh. With the way you prepared and are able to recount/understand everything that happened, I am sure you will do very well in the USA! Congrats on a successful interview 👏.. and hopefully your adopted son’s AP gets expedited sooner than you expect it. Congratulations Man! I love your experience story. Dv 2019 here, praying fervently to be selected tomorrow. Congratulations again. I Hope you are fine. I had interview yesterday, every things went well the consulate officer said to me congratulation your visa will be approved, bus she did not give me the yellow paper . That yellow paper should be given to anyone whose visa has been approved or it is different from one embassy to another..just gave me one paper wrote ( congratulation your visa application is approved).also she said me after 5 days your passport with visa will be sent to you. The color of the paper doesn’t matter. Many thanks for maintaining this site that has helped so many of us through this journey! My husband and I have been following this blog for over a year, and going through the posts and comments regularly helped us prepare well for the interview. I am the principal applicant and had charged my entry to my husband’s country of birth (Australia). Given the cross chargeability, both of us needed to meet the minimum educational qualification criteria. Sharing our interview experience at the US Consulate in Mumbai, India on 8th May. (c) Police certificates – we started the process right after we received our 2NL and received our India police certificate the same day. I had also worked in Singapore for a couple of years so I also needed the clearance certificate for my stay there. On the day of the interview, we reached the Consulate 30mins before schedule and were admitted immediately. We carried only our documents and wallets as the Consulate does not allow any electronics inside and does not provide locker facilities. Post the security screening, all immigration applicants we were given token numbers and were asked to wait for their turn for document checks. After about 40mins of waiting, we were called to one of the windows where a very nice Indian lady scrutinized all our documents. We were carrying US dollars but were asked to pay only in Rupees either by cash or credit card. Post payment of the fees, she collected all our documents and asked us if we had an affidavit of support. Our I-134 was provided by someone who was not a citizen/PR so she didn’t put it in our file and asked us to hold on to it instead if the CO asked for it. Our bank statements etc. were not collected either. Within 5 minutes of the document check we were called to another window for the interview with the CO. We were both asked to raise our right hand for the oath, and the entire interview took about 5 minutes. The CO asked us simple questions in quick succession, toggling between me and my husband. He also asked some of the same questions twice (probably to see if we give the same response as before under the pressure of time or not). The CO thereafter proceeded to cancel the tourist visas on our passports and asked us to wait. He discussed the case with another colleague (probably to see if it was ok to approve or ask for other docs – we couldn’t really make out through the glass barrier but could see a lot of nodding which seemed like a good sign). After about 30 seconds of discussion, he congratulated us and gave us instructions to collect the passports and visa packet. Our case status changed to Issued on 9th May and we collected our passports with visas and the immigration packet on 13th May. Since our case was that of cross chargeability, we were advised to travel together for the activation trip (it also says so on our visa). We are planning our activation trip in August and then plan to move lock, stock, and barrel in the first half of next year. Congratulations…hey I m from also India plzz give me your email id or whtsap NB? The whole DV process hasn’t really been tedious by the grace God☺. It’d only be this way if first and foremost you exercise patience💁🏾‍♂! It’s one thing I’ve come to appreciate alot(not that I’m impatient; the DV Process exposed me to Patience 2 or maybe 3.0). And secondly, be prayerful🙏🏾 for prayer changes things. ~5th June 2017: checked for the results of the DV Lottery and was elated to have been selected💃🏽. The day of the interview was finally here; a moment of “Congrats, I’ve approved.. ” or “Sorry, I’m denying.. “. I was very nervous. The morning had been soaked with tremendous rains and such there was a power outage😅. Thankfully apparels to be worn had been sorted out likewise documents. My mom and sister came along to render moral support on the day; it really paid off as they were relentless with prayers. Interview was scheduled for 9:30am but applicants with other time schedules(8:30, 9:30 and 10:30am) were all allowed in. I was taken through brief but thorough security checks then instructed to proceed to the main building where the interview was to take place. A young man asked for the 2NL📄and directed me to have a seat. It was my first time😅 in that section of the US Embassy🇺🇸. About some 20 minutes later, a couple of names(mine included)were mentioned to pick the payment form from Window 1. (I’d advise that you either have exactly $330 on you or more than enough of the cedi equivalent with smaller denominations too). It took some time to effect payment as the number of applicants in the hall were that much. Afterwards I was made to sit down and it took close to an hour before being called to Window 5 to submit the requisite documents and have my fingerprints taken. (I’d advise you havs your documents well sorted out to avoid having to be told to sit down and get your things in order before coming). All this while I kept praying and singing in my mind to keep me afloat any negative sentiment. Within the almost one hour of waiting time, people of all caliber were being called to either go through the same process that I did or the actual Interview. A great number had a gloomy face, some dragging their feet for the outcome of their interviews wasn’t as they expected. C.O🧔🏾: Please raise your right hand and swear that every document and what you’d say is the truth and nothing but the truth. Me: *raises hand ✋🏾 *.. I swear. C.O 🧔🏾: * mentions my full name* right? C.O🧔🏾: what do you do now? C.O🧔🏾: Oh right right. Taken the S.A.T or any other equivalent test? C.O🧔🏾: what was your combined score? C.O🧔🏾: Great… What do you intend to do upon arrival in the US? C.O🧔🏾: *types for a moment or two *.. Okay congratulations. I’m gon’ approve your visa application. *hands me a white sheet and circles a website *. 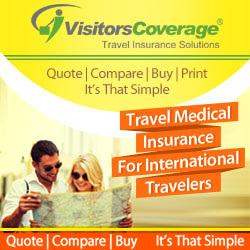 The first thing you have to do now is to create an account with this website, http://www.ustraveldocs.com.gh . You can expect to have your passport within 2 – 3 weeks. Note: Be bold when talking and never show any sign of intimidation else you’d find yourself caught pants down. At some point, I almost zoned out ’cause I was shook with the way things played out. My first attempt at the lottery and God made it all wonderful🤧. I kept saying thank you with smiles and right afterwards, I felt as though I didn’t know how to walk😂. I kept my cool and met my mom with sister outside. They were both really happy for me🤧. Or to title this section better with Britsimon’s words, “Be Patient!” Or “Wait and see”. Here, one’s patience as well as endurance is tested and stretched thin😶. Unlike those who had their interview between 7:30am and 8:00am, I realized there was a huge drag in printing and issuance of passport and Immigrant Packet. It’s at this point that you get soo weary that you try to read meaning into things, speculating and whatnot. My advise, don’t do any of those. It only creates more panic. But instead pray and be patient😊. ~15th April, 26th April: my visa status underwent updates although it still showed “Ready”. ~ 4th May: status changed from “Ready” to “Administrative Processing”😰. Here I read Brit’s post making reference to this and I somewhat kept myself afloat with this piece of information🤧. Seeing that some cases which showed “Ready” hadn’t had updates even as of March alone was enough anxiety😣. How much more AP?. 14th May: received a text and an email from ustraveldoc to come pick my passport and Immigrant packet🤸🏾‍♂🎉. 15th May: picked up every item from DHL’s Head Office at North Ridge. Nice detail in there – thank you – it is helpful! B3 was the lowest grade although honestly, I really don’t think grades matte. Nonetheless as aforementioned, it’d be at the discretion of the Consular officer. And yes I used my WASSCE certificate; it’s a requirement for someone using High School Qualification. Likewise the transcript, letter of recommendation etc. Basically something showing that you successfully completed high school education in Ghana and show the potential to pick up from there in the US upon emigrating. Thanks Abot🙏. I pray you guys don’t wait soo long for the returning of your passport and immigrant packet too. Visa status changed yet? @ Nana, all our status are on AP since May 15 and we are waiting patiently. Nana do you have any idea about whats going on ? Have you asked the embassy? AP can last longer than 60 days. So if AP longer than 60 days , does it mean that my case face a problem or it’s that normal ? The length of Ap doesn’t signify anything. Hello everyone, my interview was 21st May, 2018, the counsular gave me a white paper writing on it. (collecting your issued U.S immigrant Visa) and said good luck after he handed me the paper. Now I got home and tracked my case after some hours and updated to administrative processing. Am confused. Please help.